As we slowly start to use all available space in the extensions, I can see the time is nearing to consider the design of our learning room. Up to this point I have resolutely not even thought about it as I haven’t wanted to get too excited. Obviously as we have been homeschooling for over a decade now I have an idea of what would be wonderful additions to have, I am also considering our weaknesses and strengths. (I know doors are probably better for us than shelves) I know I want tables rather than individual desks and a reading lounge is a must. This will be our main learning room, 5 by 4 metres, and the kitchen beyond 2.5 by 4 metres will be our ‘wet area’. The two visible walls will be pulled down. The left wall opening onto the new house and the back wall between the current loungeroom and kitchen will be hip height. The far wall in the kitchen will be opened up with a large window. With windows at the front of the learning room as well natural lighting will be plenty:) Wall space will be at a premium but we can manage to fit the corkboard on the right wall in the ‘wet area’ and the blackboard and whiteboard on the right wall of the learning centre. 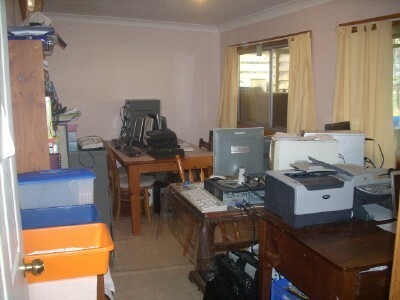 The computers and ‘school books’ are in the study, just off the learning room. A storage cupboard for stationery will be a welcome addition and new paint and curtains choices are to be made here. So suggestions please. 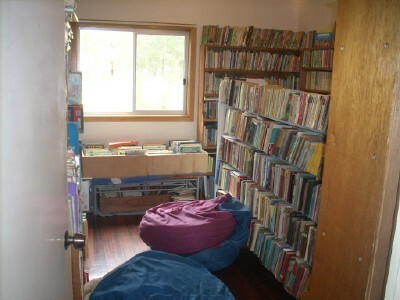 All our books are in the library next to the study, it also needs a new coat of paint. I’m not totally happy with the layout there as I would love to be able to fit a little two seater lounge in there. I may have to cull some books! I’d love a reading nook, Cheryl’s Book Nook is so inviting. My ideal is to have mini ‘learning centres’ set up around the room. In the ‘wet area’ (current kitchen) I envisage art, craft, science and nature centres. In the main learning room I dream of writing, maths, geography, pre-school and ‘theme’ centres. 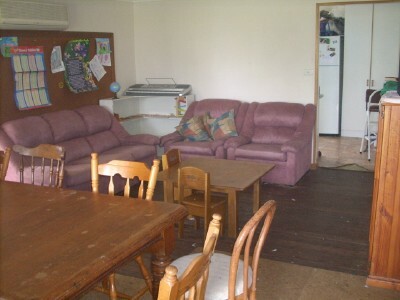 Our altar and music centre will be in the formal loungeroom. As of yet I haven’t decided exactly as to the ‘play’ items. I’m thinking of more rotating the toys between the pre-school centre and the games room, and am still unsure about the dress ups. Board games will be in the Games Room. I have been searching the internet gleaning ideas, the following are links to photos, but if you know of others please DO share with me. I still haven’t found the one that says, “pick me!” And please share ideas with me, what you think would be ideal. Heart of the Matter has over 200! Can you put a chair into the space where the old built in is in your library? If it doesn't fit maybe you could make a little seat across it like a window seat. Above it you could put a couple of narrow shelves- like the guttering ones even to house some favourite/ current reads or picture books. In the main learning area how about dividing it into two with a 2 waist height bookshelves/ cupboards the same size back to back. One half could be the younger kids area with the little table and the shelves holding their activities or toys. On the other side a large learning table for the older kids and on their shelves boxes/ magazine holders with their books etc. The top of the shelves could be used for the globe, display books on current theme, pencils in tins etc. exciting times. i love (home)school rooms. the school rooms you listed are great! i posted some more school room links here. I enjoyed looking at your post. I followed all the links to check out other peoples learning spaces and I'm inspired. I have so many books now that I have started putting bookcases in most of the kid's rooms. I hope you will post your changes. I like the idea of breaking the room up with waist height shelves, I'd somehow like to have mini areas around the room that designate that purpose. I was thinking for the pre-school area to have the foam squares for the floor, those sorts of ideas. Also we are toying with the idea of taking out the wall between the learning room and the library, open it all up to flow. Thank you so much for the link/s:) Loved your space, I find my higschoolers need their own area too, often they join us but do need a quite area for those noisy days. Glad to inspire you with the links, they are inspirational. I'll be sure to post my changes, although PC is telling me it could be longer than I thought:( Oh well I'll have fun planning in the meantime.